Before we get the party started.. 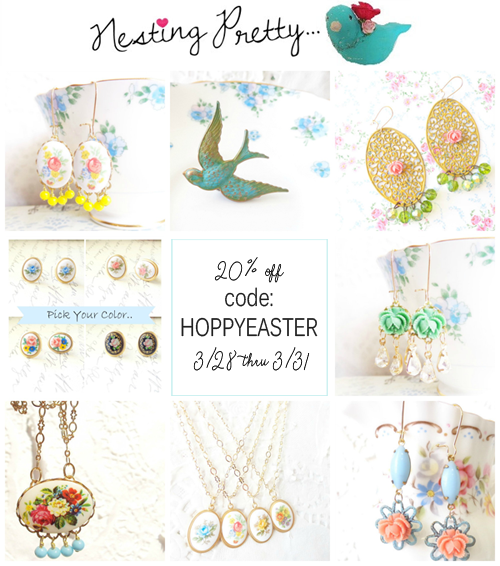 I wanted to let you all know a lovely sale will be starting tomorrow over at the gorgeous Nesting Pretty boutique! If you have any questions or need any custom needs, please feel free to convo her! Miss Tam is just a doll! Thank you for the party! :) Have a great Easter!!! Hi Keren, Thank you so much for hosting! Thank you very much for hosting. Have a blessed Easter! Thanks for the lovely party! !